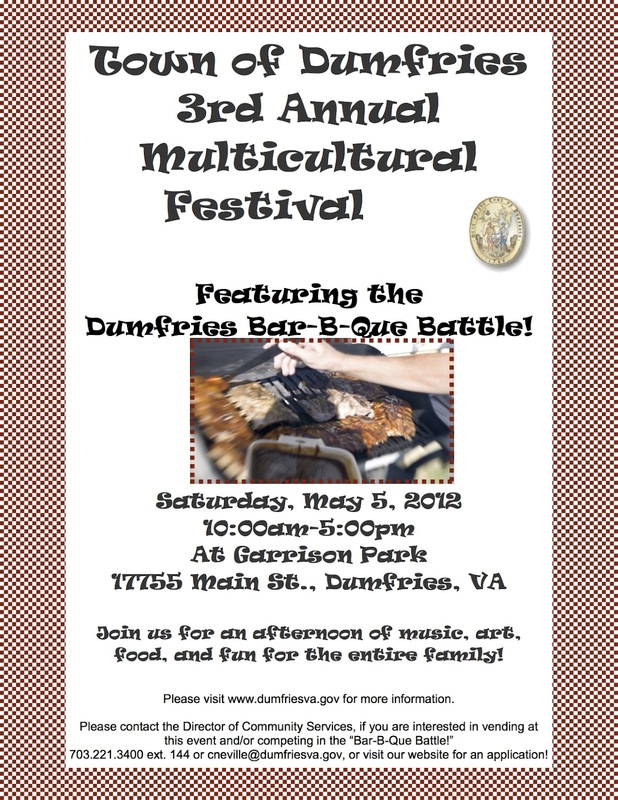 The Town of Dumfries has two great events coming up. STEP (Systematic Training for Effective Parenting) from the Prince William Cooperative Extension is a six-week discussion group for parents looking for more effective communication and discipline. Classes are offered in English and Spanish. The cost is $40 per individual OR couple. Childcare is not available. Wednesdays April 18th-May 30th skipping 5/23 7-9pm at the Dumfries Community Center. Call 703-792-6288. 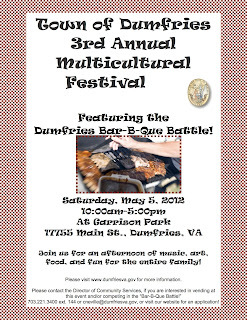 The 3rd Annual Multicultural Festival featuring a Dumfries BBQ Battle will be Saturday, May 5th 2012 from 10am-5pm at Garrison Park (17755 Main Street Dumfries VA) vendors welcome, call 703-221-3400.